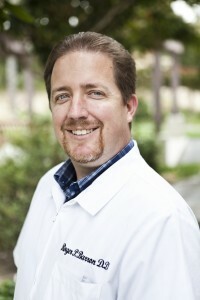 Dr. Barron received his Doctor of Dental Surgery (D.D.S.) degree from the University of Southern California (USC) School of Dentistry in 1995. He practiced in the Los Angeles area for a few years after completing his education, returning to San Diego in 1994 when he purchased a dental office, Bio-Compatible Dental Care in Del Mar, CA. Seeing overhead rising and costs of dentistry making the quality he wanted to provide less affordable he looked into other options. In 2004 he purchased a mobile dental office and under the Cloud 9 Dental name has been providing high quality mobile dentistry maintaining the same natural dental focus and style of dentistry he practiced in his previous office with added convenience and affordability. Dr. Barron is a member of the International Academy of Oral Medicine and Toxicology (IAOMT), Internation Association of Mercury Safe Dentists (IAMSD), American Dental Association, California Dental Association, San Diego Dental Association, San Diego CEREC Study Club among other organizations and maintains a considerable amount of dental continuing education to stay on the cutting edge in dental materials and technology. It is my pleasure to introduce my staff. I am very proud and blessed to have such skilled, dedicated and conscientious people working with me. When you call our office, Reachelle will greet you with her charming and cheerful voice. Reachelle has been in the dental field over 30 years. Her experience in dealing with dental insurance really helps to facilitate your dental treatment. Please feel free to give her a call if you have any questions regarding your insurance. She will make sure to give you the best advice of how to utilize your insurance benefits. Rosemarie is a Loma Linda graduate with 30 years experience as a hygienist. Patients appreciate her ability to thoroughly clean their teeth while still being gentle. Most of all, they really appreciate all the great tips on how to better care for their teeth. We are very pleased to have her as our hygienist. Cindy, our Registered Dental Assistant. Cindy has over 40 years of dental experience. She is professional and caring. She has a good esthetic eye and is very attentive to detail. We work closely together to ensure that whatever we do, you will get the best esthetic result and dental care that we can provide. Anthony has 6 years experience. He brings skill, knowledge and professionalism to the practice. Contact the Del Mar Dental Center!